The brand ‘Tesco’. 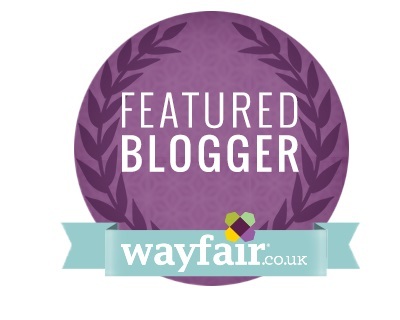 It’s not the first place you’d think of looking for homeware is it? I recently visited a preview of their autumn/winter collection in Soho and my summary on Instagram stories as I came away was they they’ve knocked it out of the park. Literally! Displayed across a beautiful 4 storey townhouse in the heart of theatre land, I could quite easily have moved in such was the appeal of every single collection. In expanding their homeware range, it’s clear that Tesco have invested heavily in design and market research but still manage to maintain such a low price point without compromising quality. 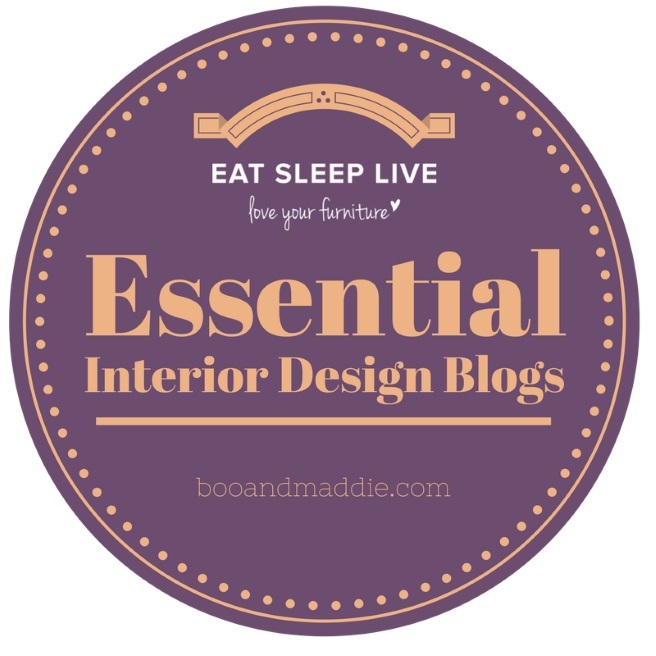 You’ll probably know by now that I’m fairly fussy about the pieces I bring into our home, favouring independent boutique business over large high street brands wherever possible. There’s no denying though that I’m a little smitten with so much of the range so I’m going to let these images do the talking and I think you’ll agree. 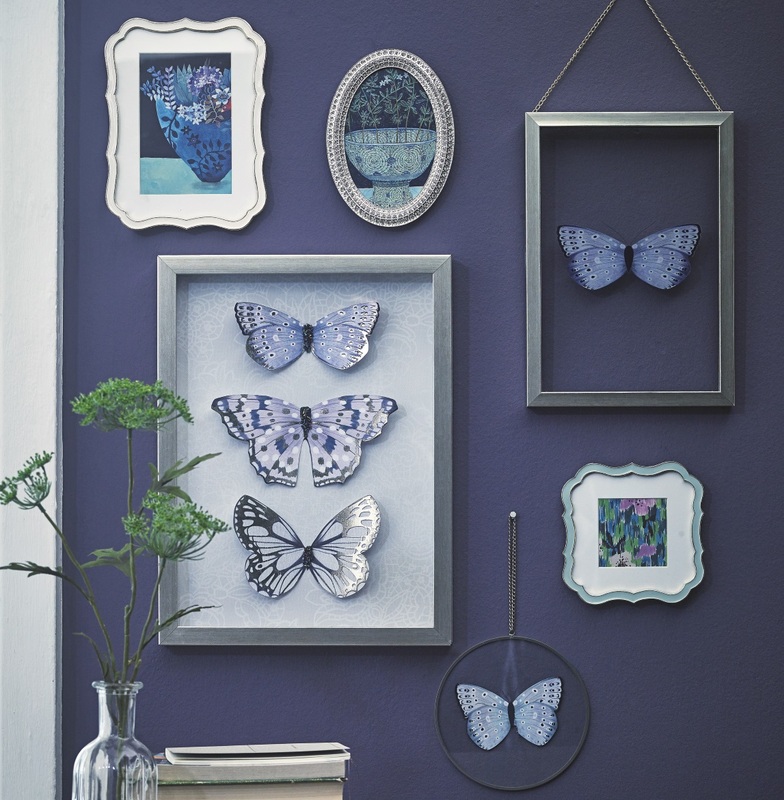 Most of the collections will be available online and in larger Tesco stores from September, prices start from £2. 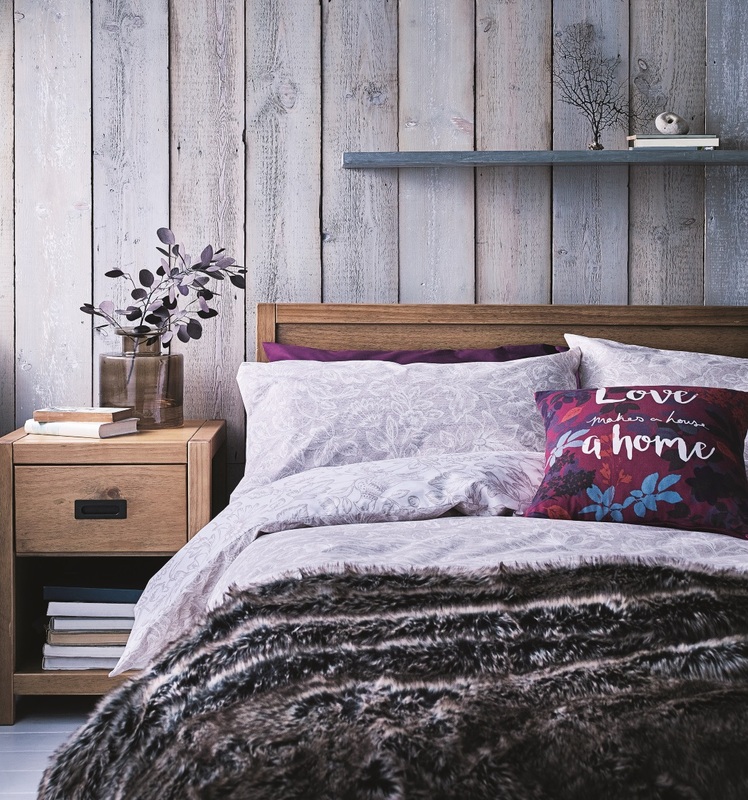 ‘Relaxed and rustic, this new range has given traditional pieces a sumptuous modern update. 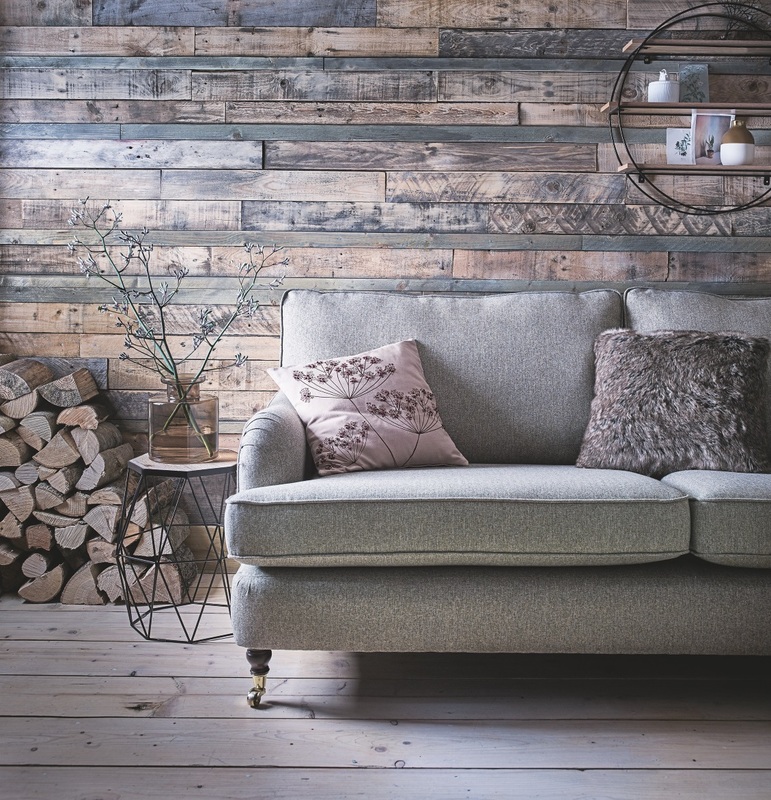 Winter-proof your home with soft fabrics, cosy cushions and warming hints of amber. 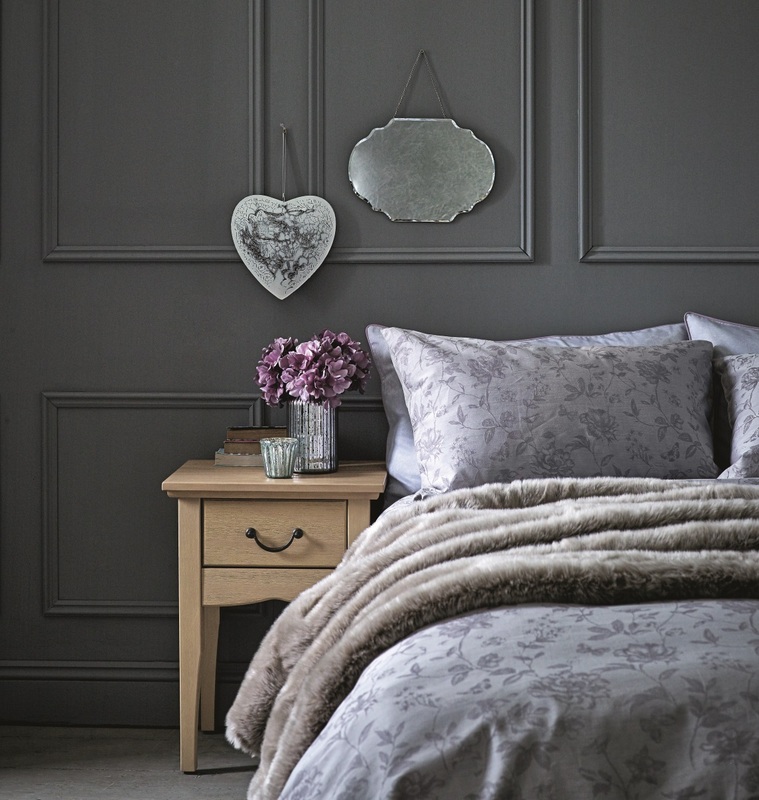 Opt for throws and bedding in muted tones and classic patterns, add personality with hand-drawn floral, wildlife and quotation motifs and tie the whole look together with a spark of trend-driven gold’. 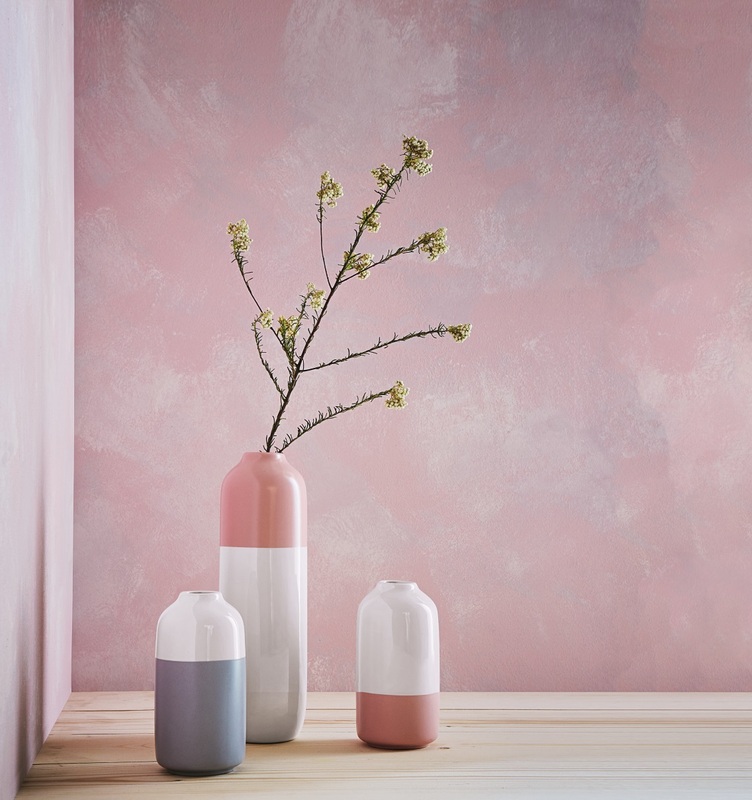 ‘Scandinavian influences – plus a colour palette of soft pinks, greys and blues – make this range a contemporary but easy-to-incorporate choice. 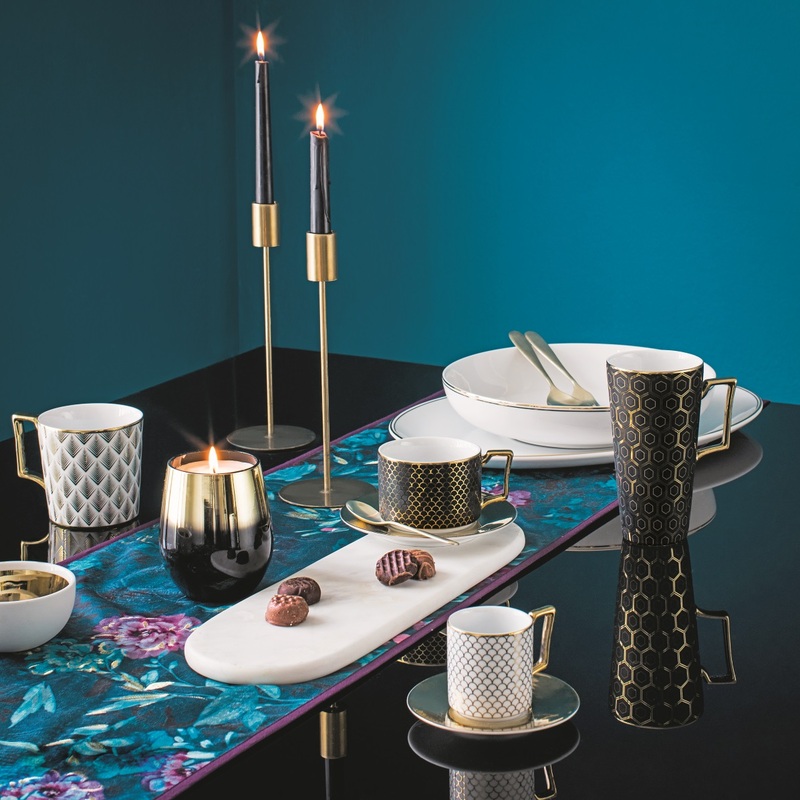 Styled-led yet subtle, the affordable pieces come together to form a chic and welcoming interior peppered with geometric shapes, smooth ceramics and frosted glass. 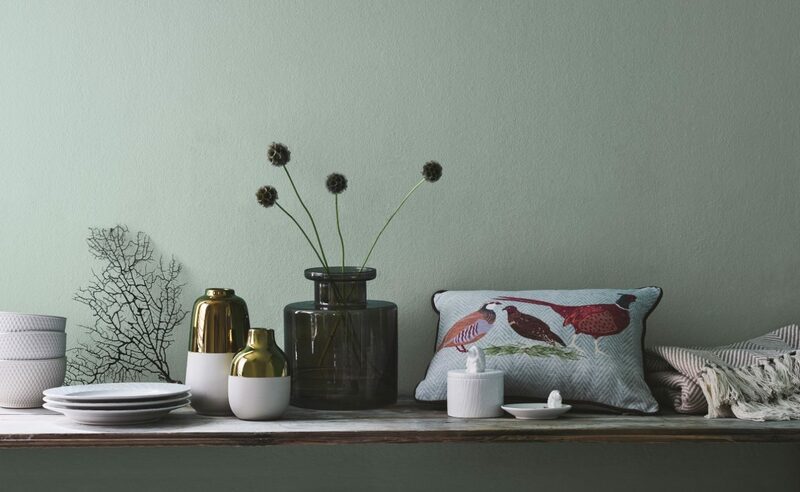 Glazed pots and textured fabrics add a tactile touch while hand-drawn designs bring luxury’. 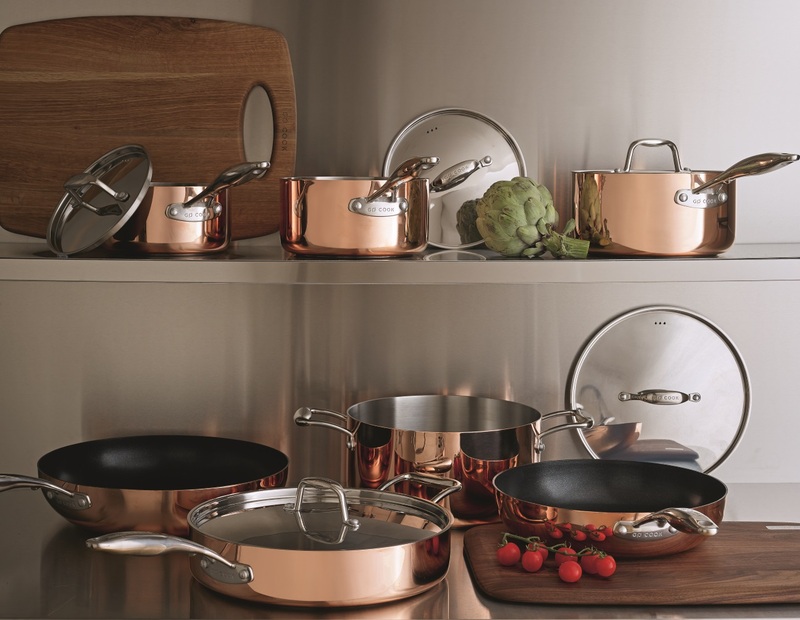 ‘Tesco launches their premium cookware brand, Go Cook. Be it browning, baking or braising, each carefully crafted item in the range has been designed with cooks in mind. 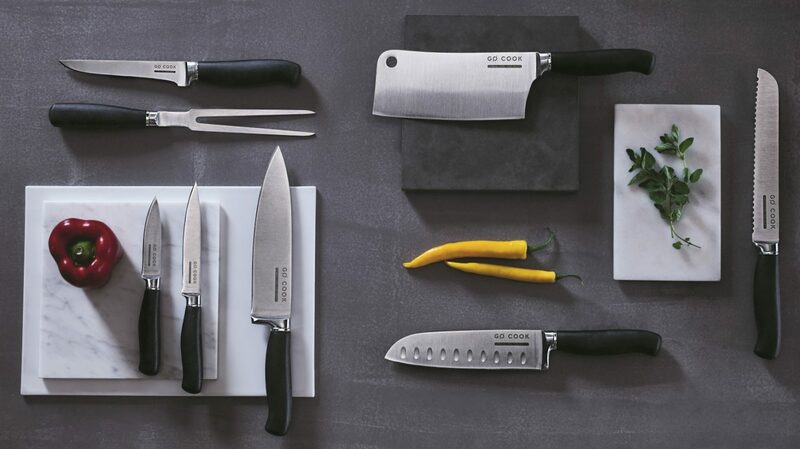 Engineered to the highest standards, these pans, knives and accessories are as practical as they are pretty with market-first features and problem-solving designs. 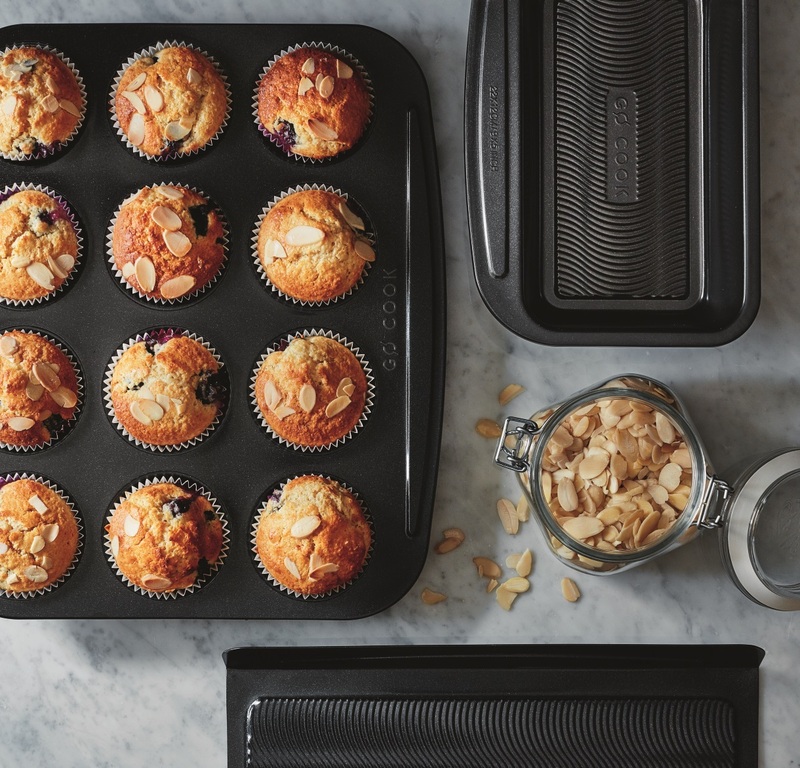 Go from hob to oven with heat-resistant handles, turn out show-stopping cakes thanks to a unique non-stick Contour System and savour every last drop using flat-edged utensils. Whether rustling something up for yourself, catering for the family or feeding a crowd, this collection will suit every cookery need and help you achieve the best results. Try out new recipes, push your culinary boundaries and taste the rewards. Put simply, Go Cook’. 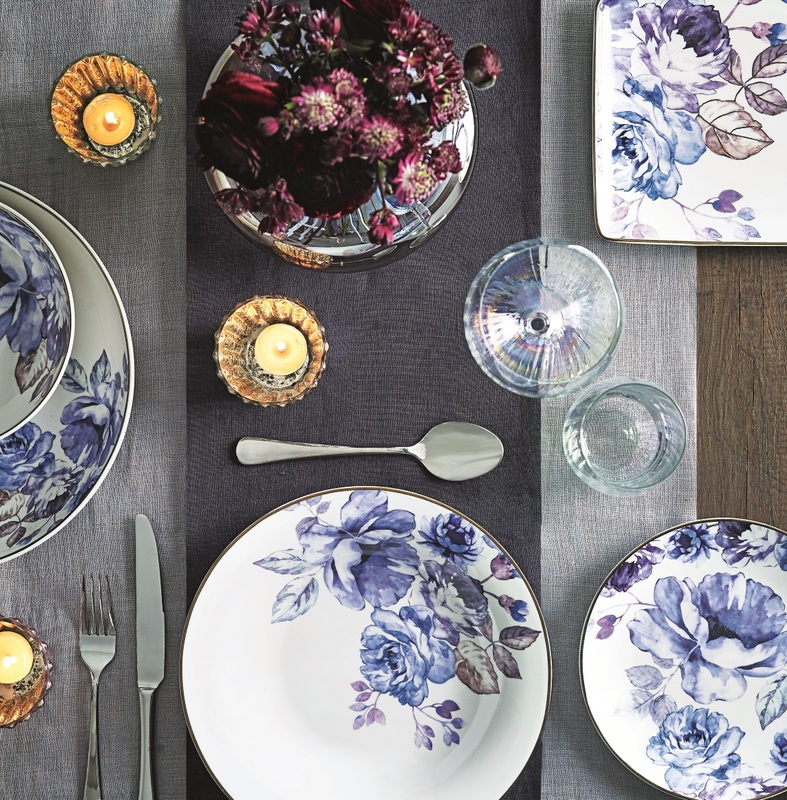 ‘The Jardin range is designed to bring a soft and floral edge to your home. Vintage prints cover china, while quality fabrics – brushed satin and silks – are used to create sophisticated pieces for every room. 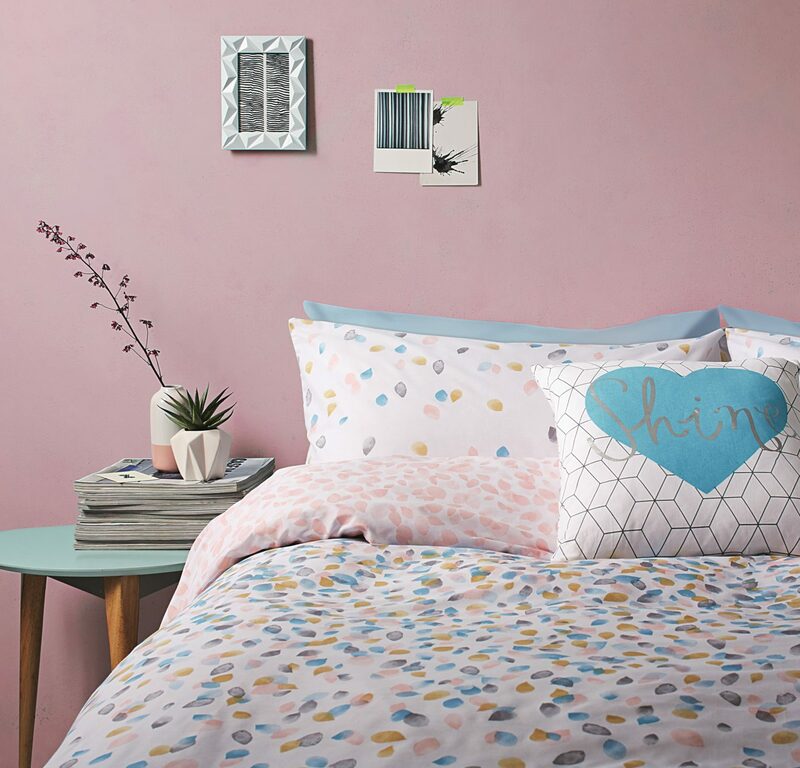 Cushions and bed linen are patterned with traditional petals, butterflies and birds. 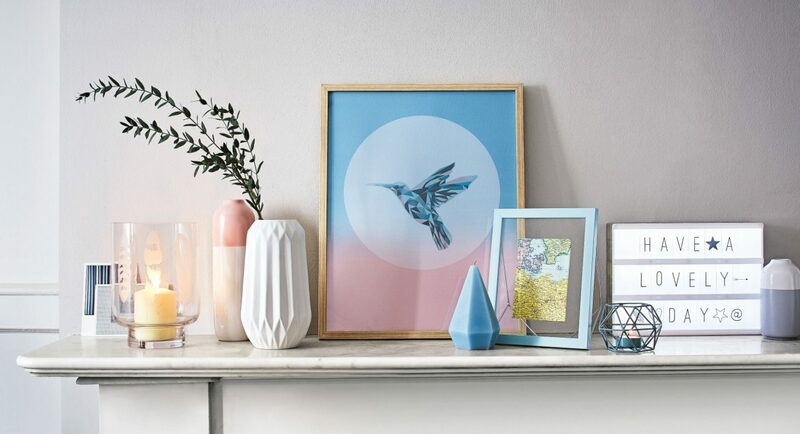 Vases feature soft mercury and lustre finishes with pretty fluted detailing’. 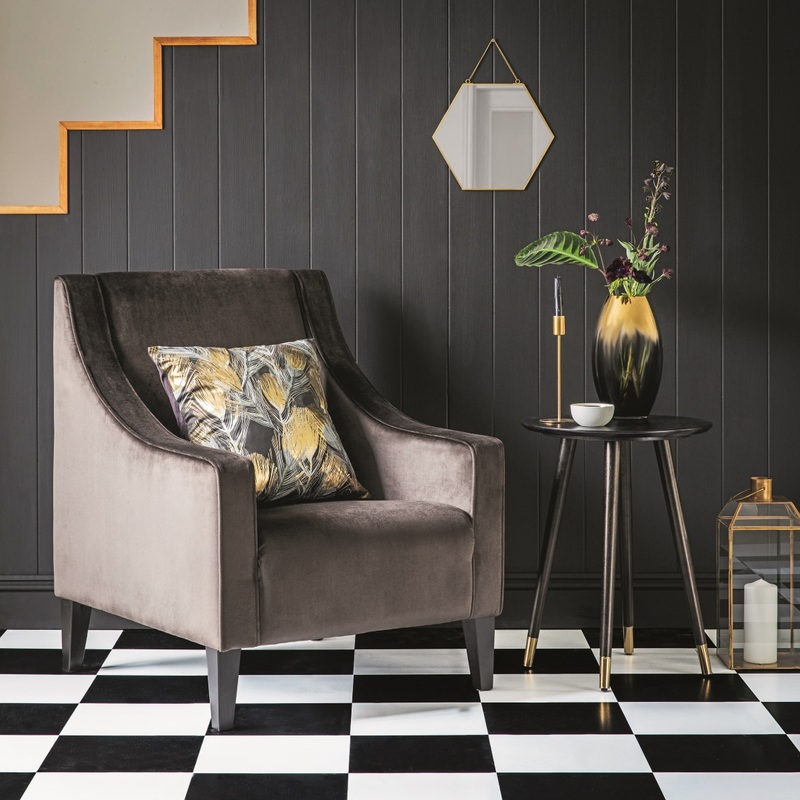 ‘Classic, elegant and refined, every piece in the Soho range has been created for those who adore exquisite design. Bring sophisticated luxury into your home with these brilliant buys. 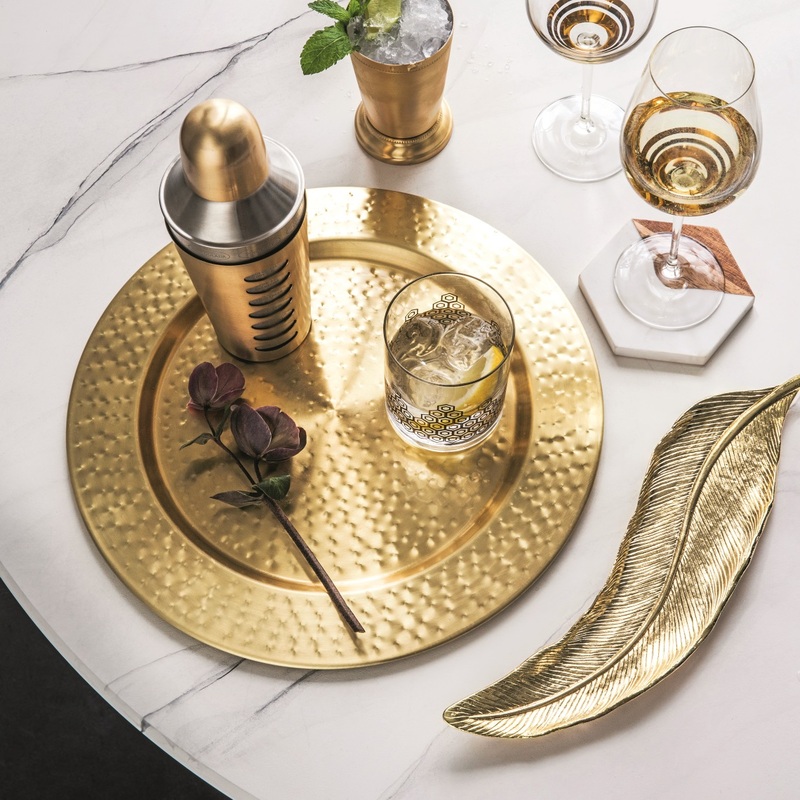 Gold is a major motif that appears in brass accents on black furniture, in ombre on vases and in details in stripes and patterns over cushions and crockery. 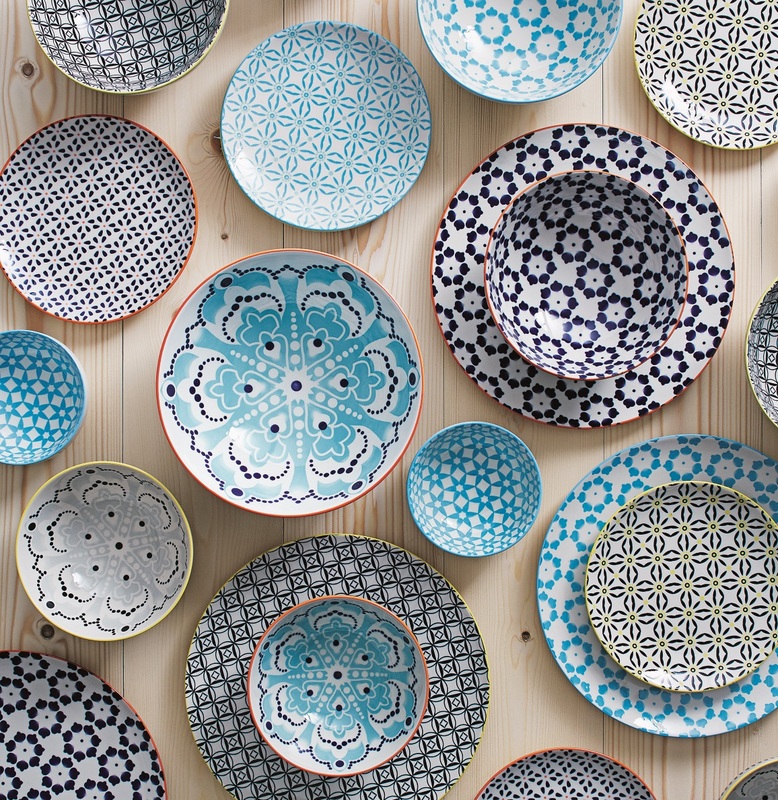 Mix with bright hues and deep, rich blues and teals for the Soho look’. 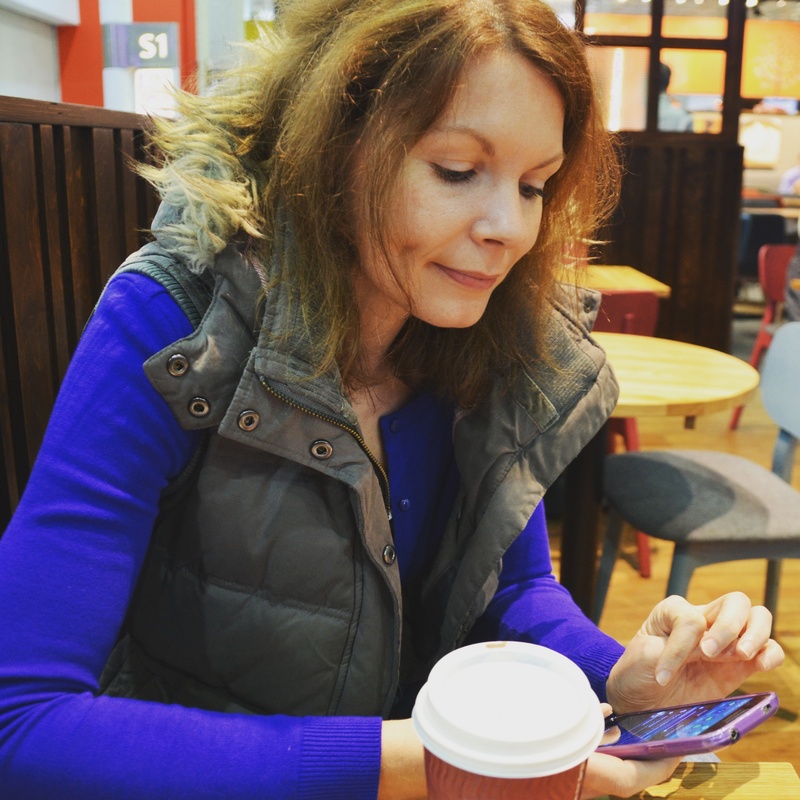 Ohh, I saw the pictures on your Instagram – still can’t believe it’s Tesco! Such a fabulous range! I can’t believe this stuff is from Tesco! It looks like it’s from Anthropologie! Perfect colour combos too. Any idea where I can get the blue go cook pattern plates from? Have loved the Jardin teal table runner for ages but it’s impossible to buy now. Seems to be discontinued. I’ve looked everywhere. Such a shame. If anyone knows material name or an ex outlet selling would be great to hear where.